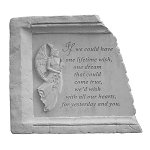 Personalized Memorial Stone, Upright - If Roses Grow In Heaven..
Home > Specialty > Religious Theme > Personalized Memorial Stone, Upright - If Roses Grow In Heaven.. This obelisk memorial makes a touching tribute to the mother we have lost. The memorial is made of cast stone that has a rich texture with the look, feel and weight of true stone. This three dimensional stone is weatherproof and guaranteed to last a lifetime. Designed to stand upright. Made in the USA. 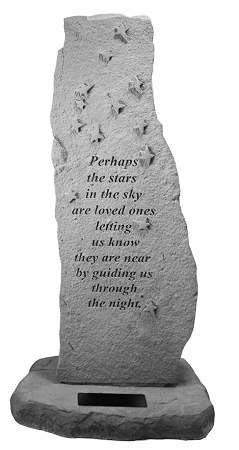 Personalized Memorial Garden Stone With Lighthouse - If Tears..